Have I mentioned that I’m not a baker? Jam – I have down. Pickles – those too. The problem with being a preserver is that you get really good at putting things away and saving them for something special. We preservers thrive on delayed satisfaction. Then we end up with quarts of pickles and dozens of jars of jam that we need to use up. Of course, right about that time new exciting fruit comes into season and if you want to fill new jars you need to clear out old jars. A great way to use up the jam? Baking, of course. So I had to tackle one of the basics – pie dough. A couple of weeks ago I discovered a great pâte brisée recipe. I made a spring tart – green garlic, last year’s put up roasted red peppers, and sharp cheddar cheese. I was surprised how great it turned out – rich and toothsome, with the right balance of sugar and salt. (Really? Me? I made this?!) Then when Shauna at Gluten Free Girl announced a pie party, I knew a sweet version couldn’t be that hard. 1. Make the pâte brisée, let chill in the refrigerator for at least an hour or overnight. 3. Roll out to 1/8″ thick. Fill the middle with jam – leave a 1/2″ border around the edge free of jam. Top the jam with the cherries. 4. 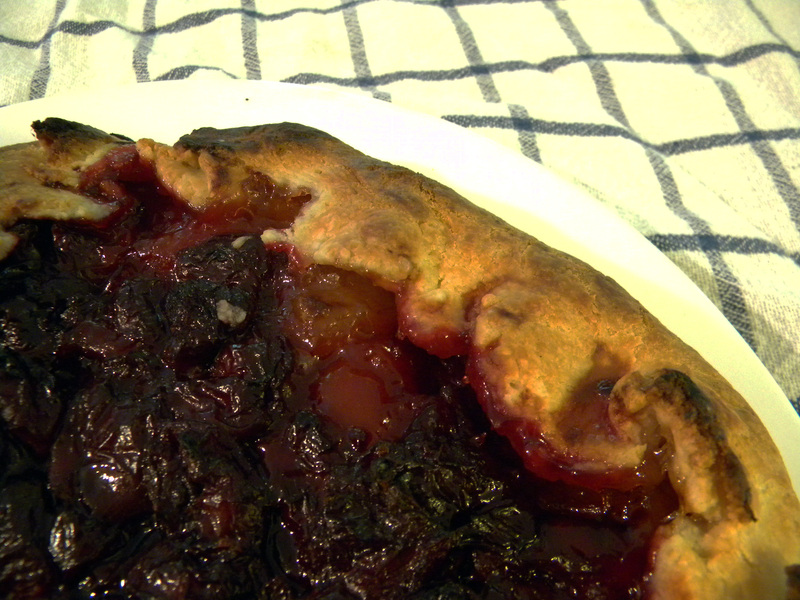 Fold in the crust over the jam a little, so there is about 1″ crust. 5. Bake for 45ish minutes until brown and bubbly. I had to turn my broiler on for a second because I was getting impatient. Serve a la mode. 1. Any kind of jam or fresh fruit will do, but this combination is really killer. I like the idea of using last season’s jam with this season’s fresh fruit. 2. Experiment with the crust – I have plans to add grade B maple syrup and honey to different versions. 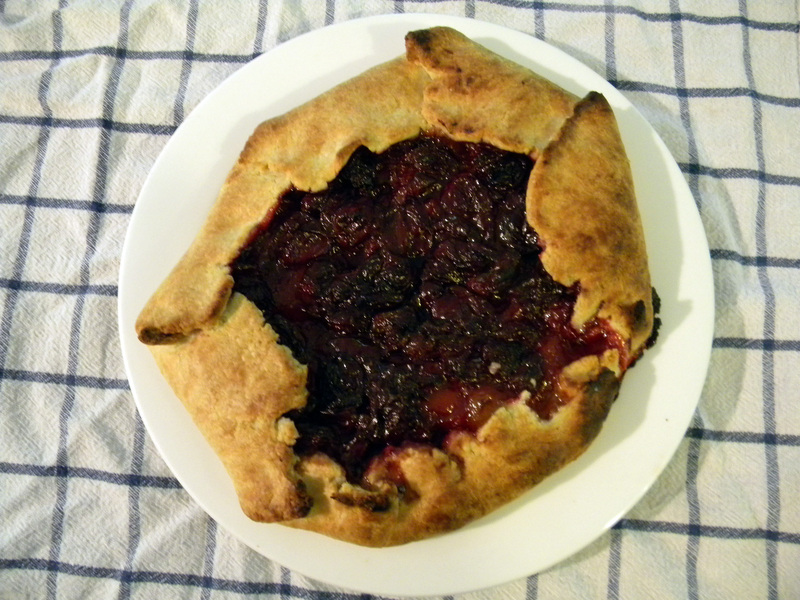 This entry was posted in baking, preserving on July 5, 2011 by Kate @ Snowflake Kitchen. 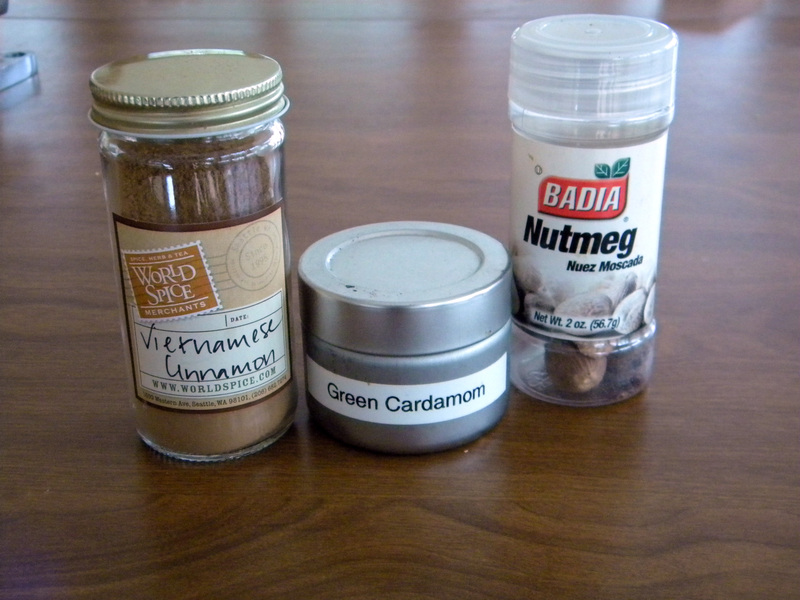 April’s Spice Rack challenge was pretty perfect: Dill. 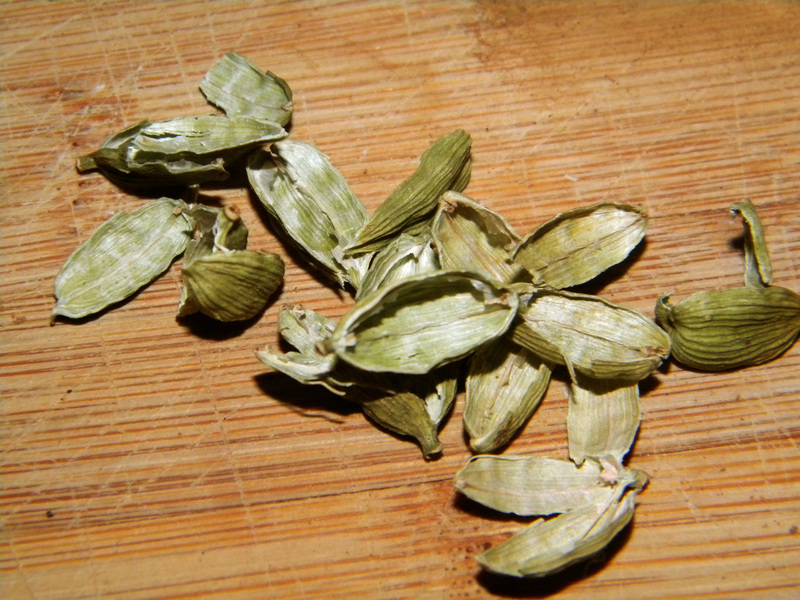 I use dill quite a bit already – but only in a few standard recipes. I love Dill Pickles. So much that I put Dill Weed AND Dill Seed in them for an extra kick. My favorite way to grill salmon is with lemon and dill. [Cue shameless plug, don’t forget to enter SK’s Lemon Ladies Meyer Lemon Giveaway – ends tonight!] But despite all of that, I really am a scone addict. Sweet scones are great – I’ve been hooked on a proper cream tea since I visited the UK as a teenager. 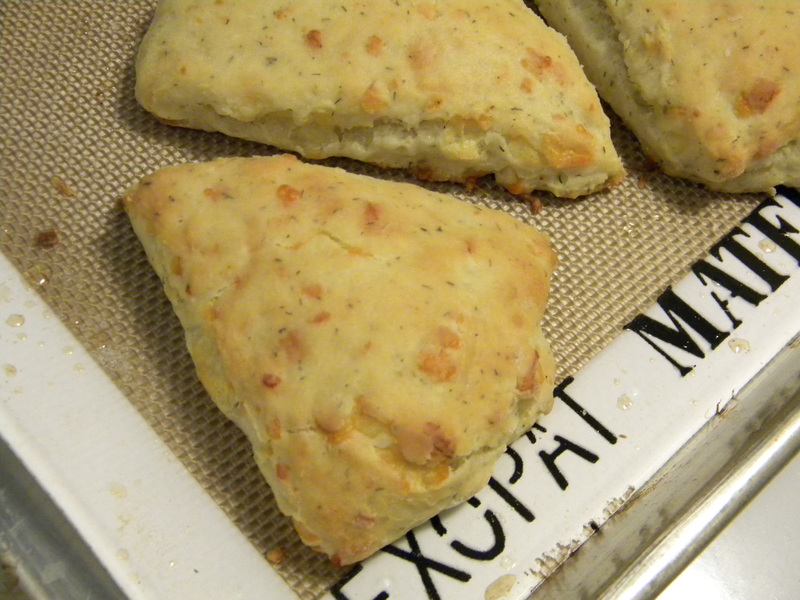 But there’s really something to be said about savory scones. 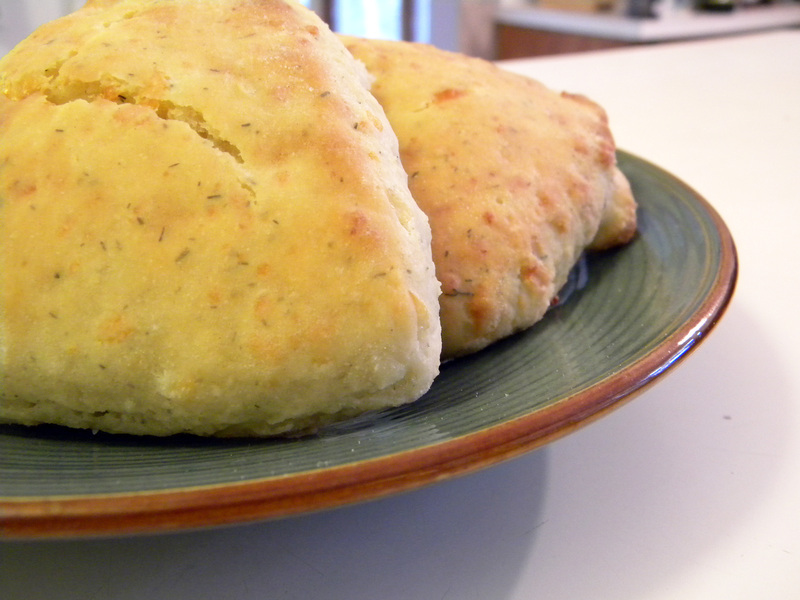 Its a little unexpected – great with soup or as a stand in for dinner rolls. There’s only one problem. Have I mentioned I am not a baker? I am the girl who seems to make great tasting chocolate chip cookies but their texture is all off. Consistency is not my strong suit – and you really need consistency for baking. But isn’t the Spice Rack Challenge all about going outside of your comfort zone? So scones it was. 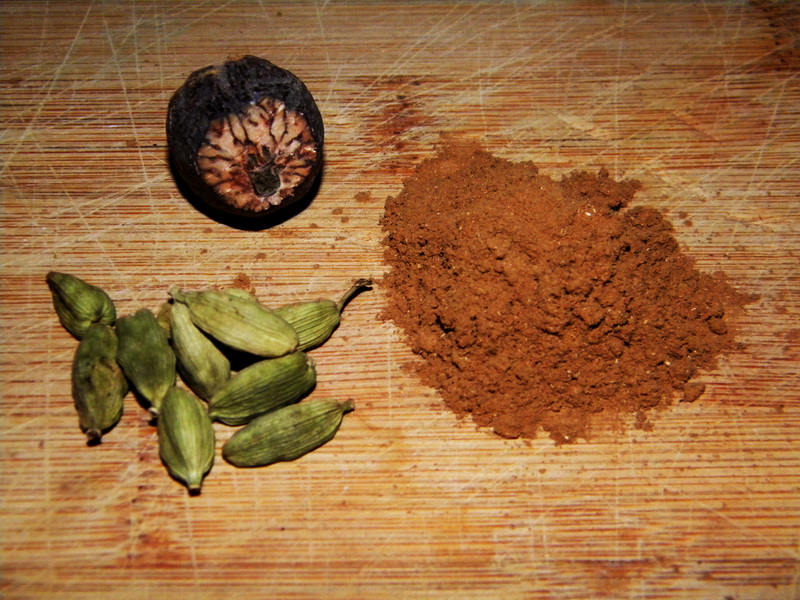 Mix all of the dry ingredients together. Add the dill and cheddar, and incorporate thoroughly. I used a stand mixer, but I’m sure that you could easily do this recipe by hand. Keep the mixer on low (or grab another pair of hands and have them mix) while you slowly pour in the two cups of milk and two of the tablespoons of butter to make a very wet dough. I bet if you used the cream called for in this recipe, you wouldn’t have to add butter, but I thought it might benefit from some additional fat as I was using 1% milk. 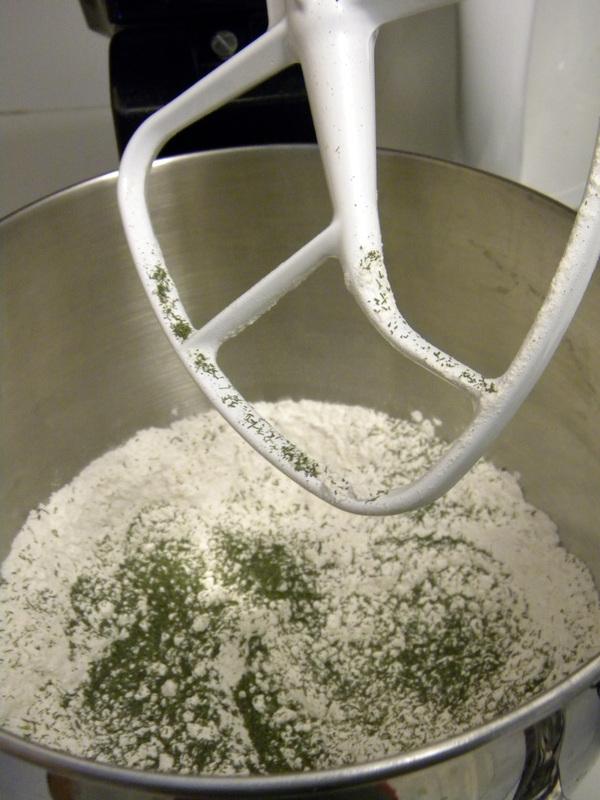 Roll out the dough onto a well floured surface – it will be very sticky. I had to dust the counter and the dough multiple times. Knead a bit and divide in half. Roll into two 7″ rounds. Cut into six slices and lay out on a baking sheet. 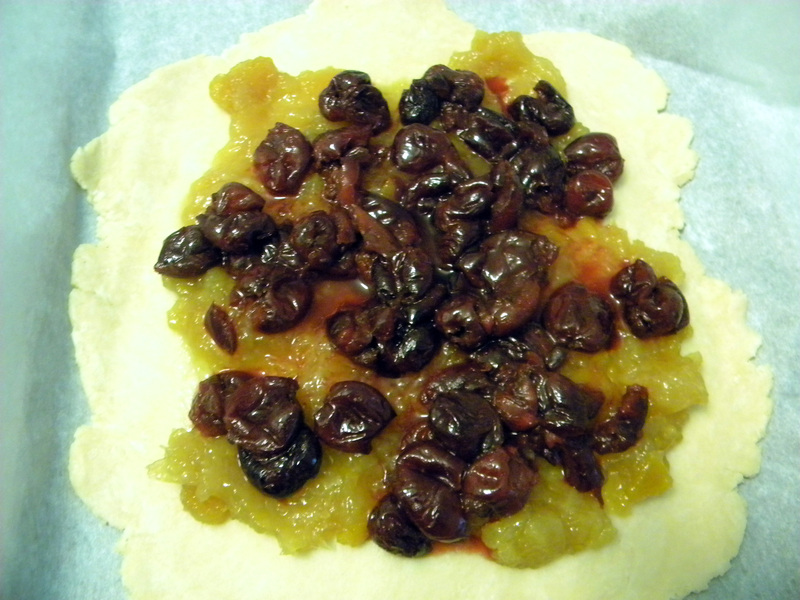 Use a silpat or parchment paper to keep the dough from sticking. Brush once with melted butter (you will have some leftover.) Bake at 400° for anywhere from 15-25 minutes – watch until they turn golden brown. I also brushed the scones with the last bit of butter in the middle of baking. I am really pleasantly surprised with how they came out. 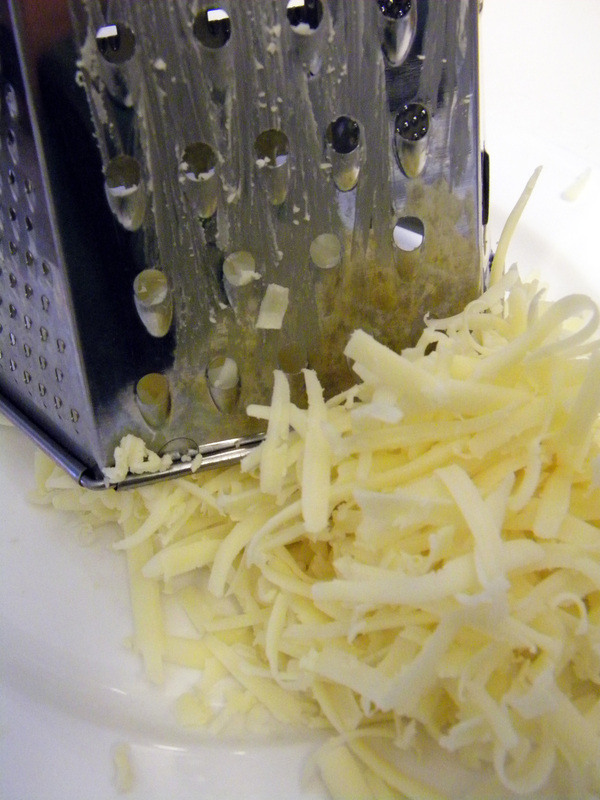 Some of the cheese came to the surface and crisped up. The dill came through but wasn’t terribly overpowering, either. I foresee lots more scones in my future. 1. Serve with a hot bowl of soup on a rainy day. We’ve certainly had our share of those here – “April showers…” and all that. 2. Stuff them. As soon as the first scone was cool enough to eat I sandwiched some ham and homemade mustard inside and it became lunch. Fantastic. 3. Cut them into smaller pieces to make mini scones for a potluck party. 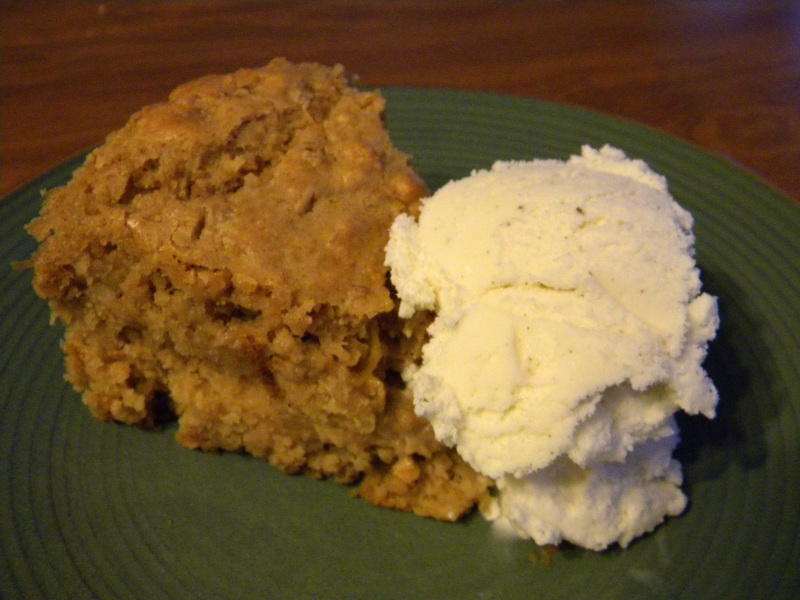 This entry was posted in baking, preserving on April 25, 2011 by Kate @ Snowflake Kitchen. Spice Rack Challenge: Citrus. Again. THANK YOU KAREN! Sorry about the camera phone photo – I was way too excited to break out the real camera. 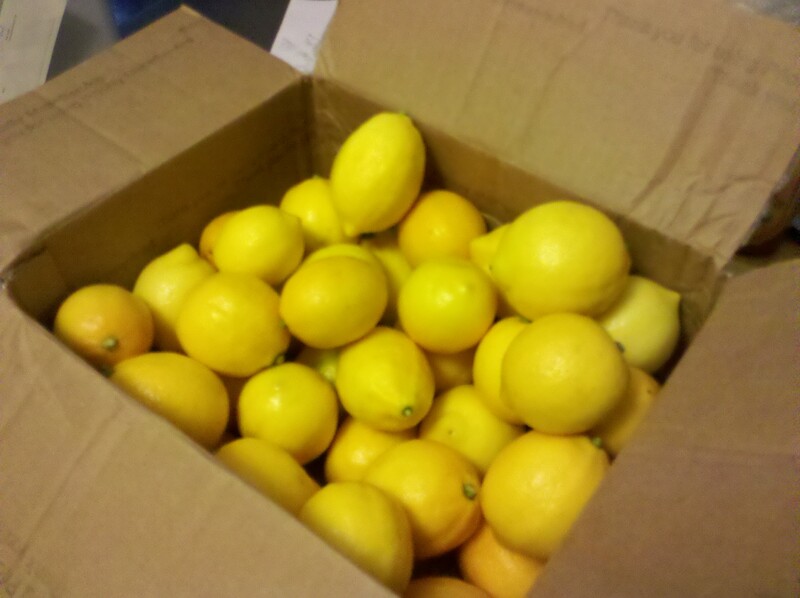 What to do with SEVEN pounds of delicious Meyer Lemons picked only days ago in California sunshine? We’ll see how they turn out. Maybe I’ll want more toothsome ones when this batch is used. 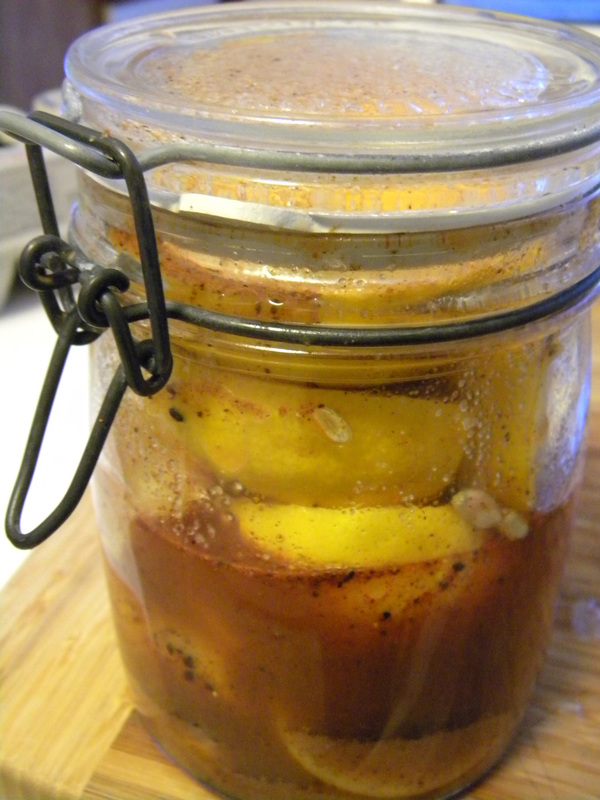 Ideas on how to use Preserved Lemons: Arctic Garden Studio has great suggestions, including preserved lemon and harissa hot dogs (have to try those!) and an awesome link for Preserved Lemon and Thyme Compound Butter (oh man…). 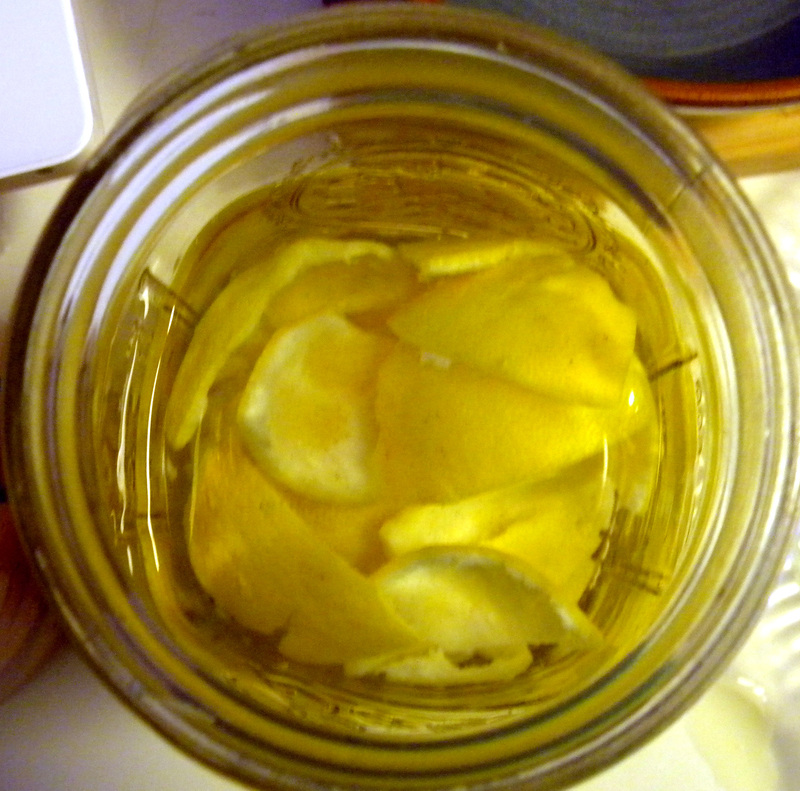 The lovely readers at Food in Jars suggested using Cara Cara oranges (my new addiction) instead. Once they age I will definitely be trying the Spicy Potato Tagine with Preserved Lemon and Olives from Epicurious. Second: Juice them! You can use the juice for curd, but you knew that already. Make lemonade, or freeze the juice for when inspiration strikes later. Note to self: Also do a Meyer Lemon Roast chicken. If you don’t live in California, Texas or Florida, you likely had the lovely yellow beauties shipped in – dont let ANY go to waste! Make limoncello with that rind! Señor SK and I had a bad limoncello experience on a trip to Rome a couple of years ago – but I’m willing to give it another shot. 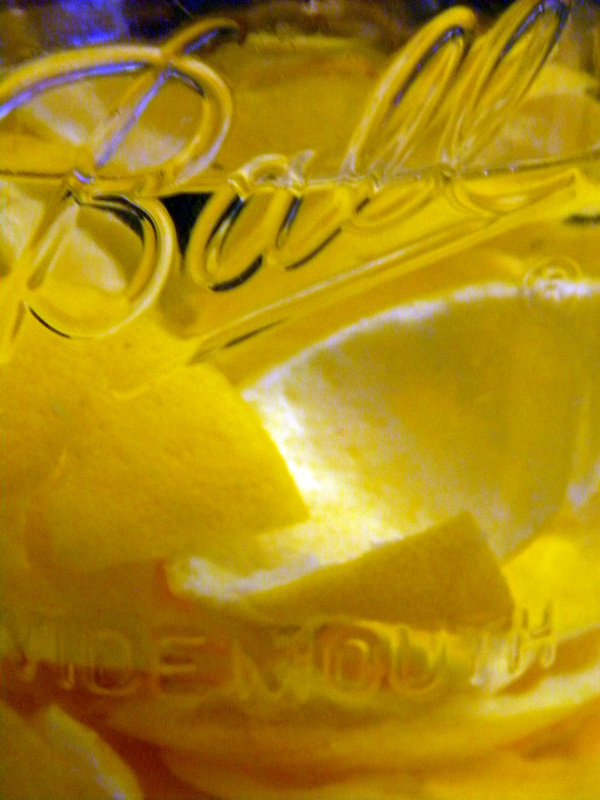 The idea of lemonade er… for adults… in the summer sounds fantastic. Thanks to Hip Girls Guide to Homemaking for the recipe. Third: Bake. 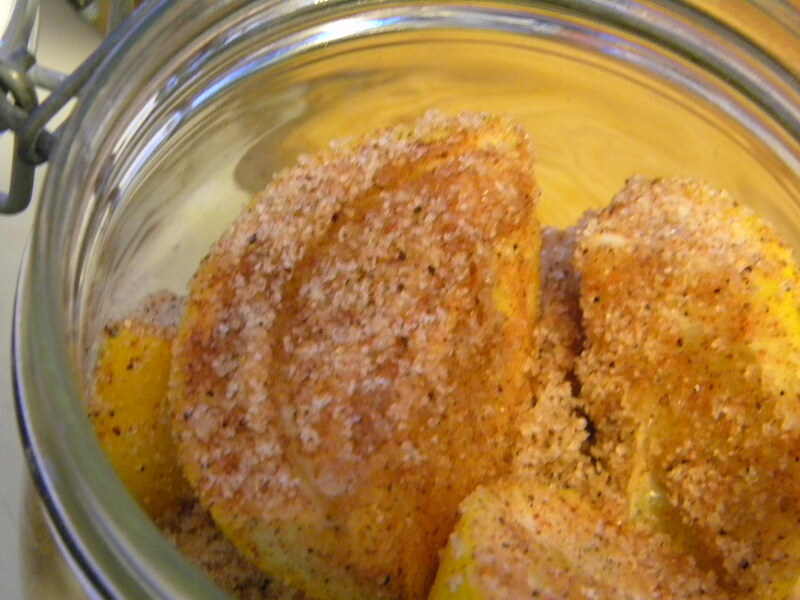 Tomorrow I might make Arctic Garden Studio’s Lemon Pull-Apart Loaf. And maybe Barefoot Contessa’s Lemon Yogurt Cake. But today I came across dymnyno’s Lazy Lemon Tart on Food 52. It can’t get much easier than this: 1. 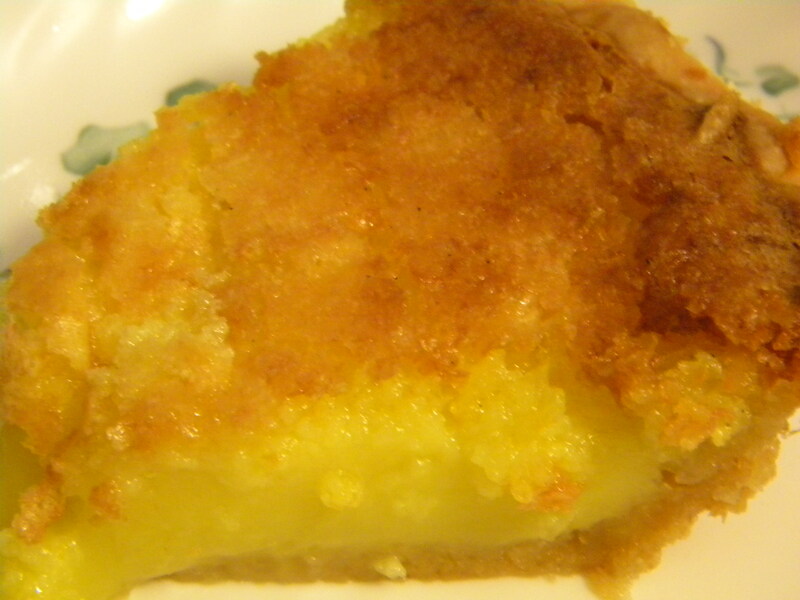 Buy pre-made pie/tart crust, 2. Blend filling in a food processor – a WHOLE lemon!, 3. Bake. I should add 4. Try not to inhale in one sitting. The crust gets golden and crunchy and amazing. Seriously – MAKE THIS NOW. This entry was posted in baking, infusions + syrups, preserving on February 19, 2011 by Kate @ Snowflake Kitchen.